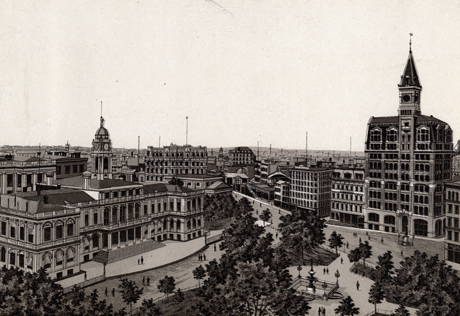 Tribune Building and City Hall Square New York Album, c. 1883. The Tribune was the first newspaper to build a skyscraper on Park Row. At eleven stories, it was the tallest building in the city on its completion in 1875. No. 53 - New York City Hall Loeffler, S.I.N.Y., 1895. 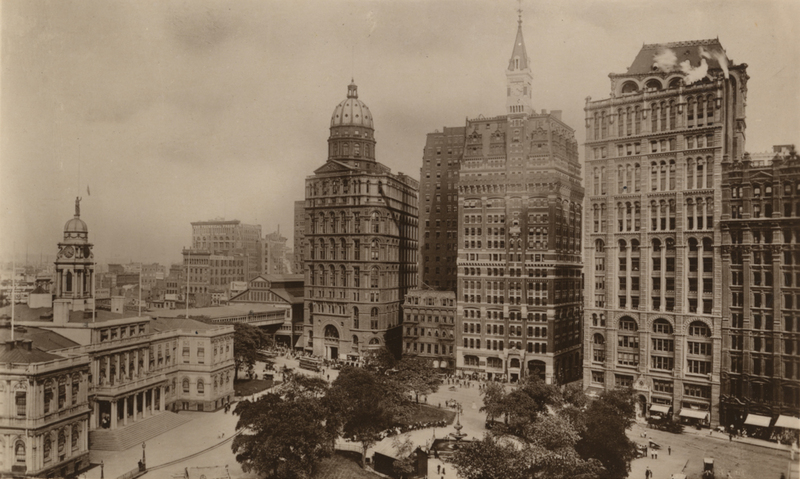 This photograph shows Newspaper Row after the completion of the World Building of 1890, but before the construction of three stories that were added to the Times Building in 1903. 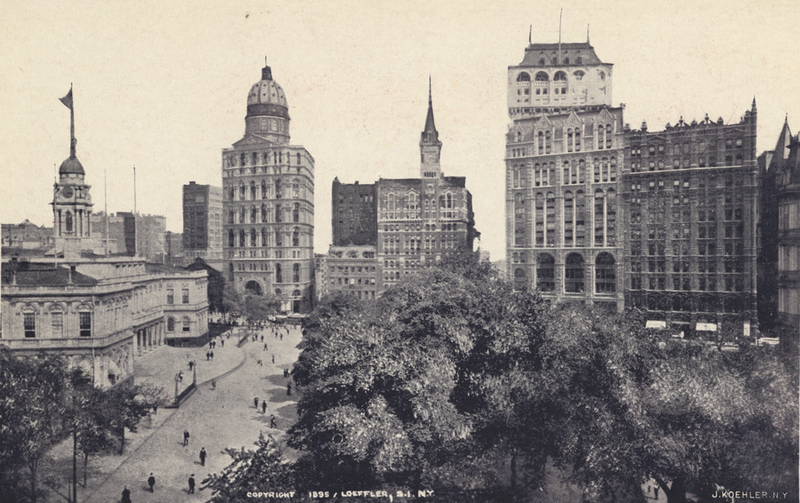 City Hall Park and Newspaper Row Rotary Photo, c.1908. Park Row expanded upward in the early 1900s. The Tribune Building doubled its height in 1906 and the World Building added its large Annex to the east in 1908. Collection of Pace University Archives. 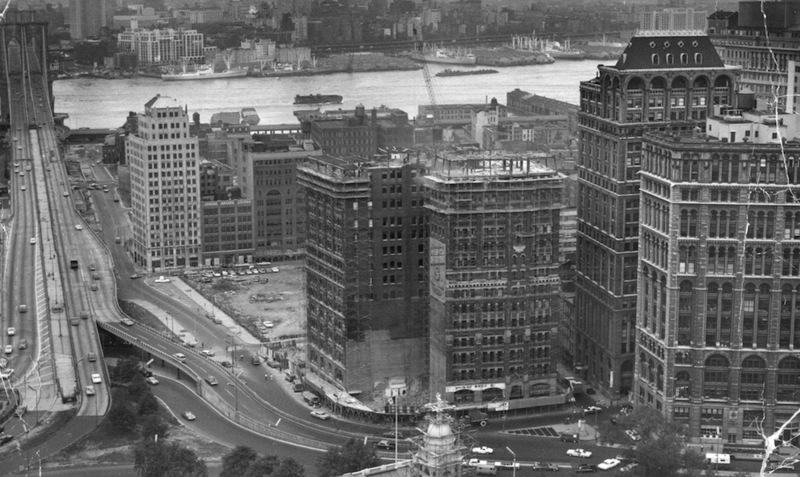 The end of Newspaper Row is shown here as the Tribune Building is being demolished, to be replaced by the new academic complex for Pace University. The World Building had already been taken down during the expansion of the Brooklyn Bridge.